Where are our friends and followers, wake up and see we are about to lose the contest. I voted every day and I was counting hours several times of my day to check what is going on. I also shared @drakos post in our community announcement and mentioned to members to ensure we are winning. Check the @drakos post below. I am just thinking, should we lose the contest? We can't blame anyone as we all are at the same place. We supposed to do better. 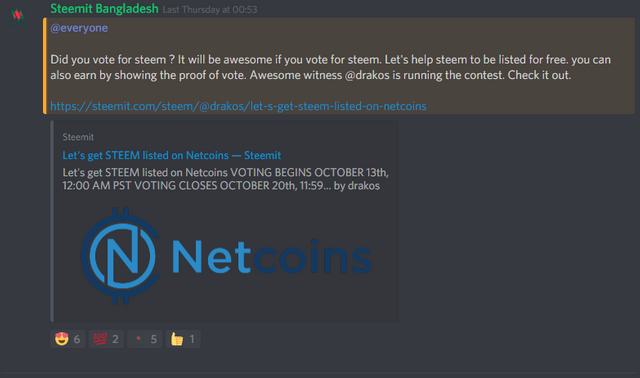 I shared and asked our above 700 Members to vote for steemit and get some rewards from the awesome witness. 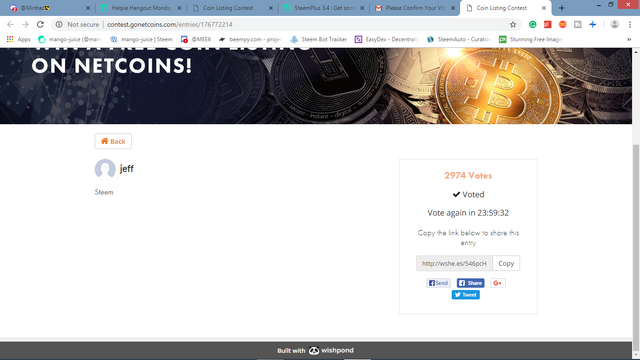 But I feel sad that we are losing first place and that's why I decided to ask my followers to help steem with a vote. Well, I am not going to go details what is netcoins. 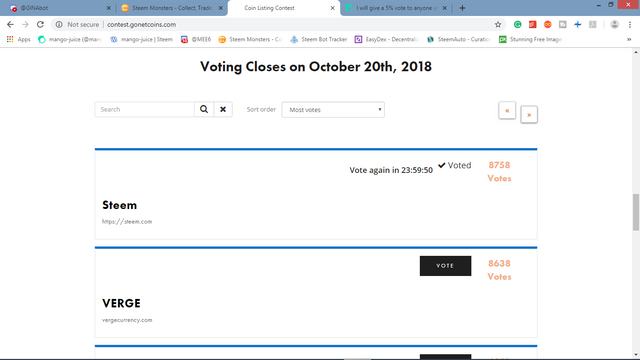 I just invite you to go http://contest.gonetcoins.com/ and find steem to vote. It's very easy. if you are a new voter, you need to confirm vote with your email. 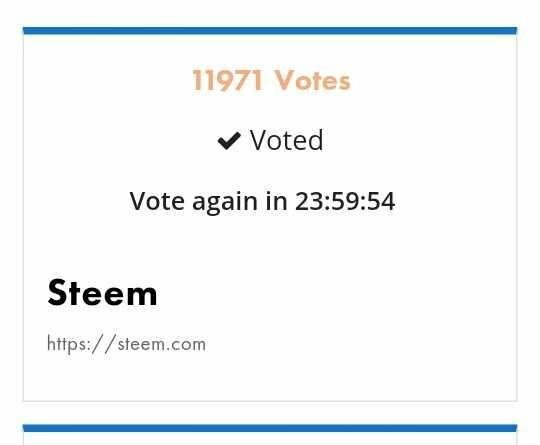 Now, if you give a vote for steem as a genuine user, give an SS in a comment for a different level of appreciation. Now Just a few hours left and please we need your action. We are about 1000 Votes behind to rescue our first place. Please contact me @Azizbd for any information azizbd#2850 on discord. this is my 2nd vote ! and here is my 3rd one ! and going to vote my 4th one soon ! haha! I love steem so much and I can do anything for its success! We are now 150+ ahead sir. Amra jitbo ee! Kono chinta nai! 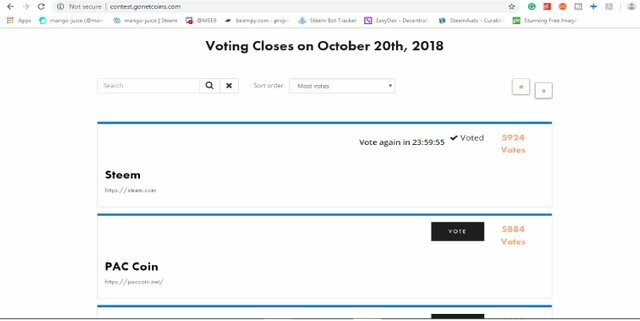 I may be calling for the wolf but there is no way verge could catch up so many votes in just a couple of hours. I'm talking about something like 2000 votes since this morning. I hope this gets reviewed. I hope it will work. Thanks for letting me know and can't want to see we are winning. Your effort is highly appreciated by the community brother. A few hours back , steem was on the top. But dramatically verge coin came back. How did they do it?? 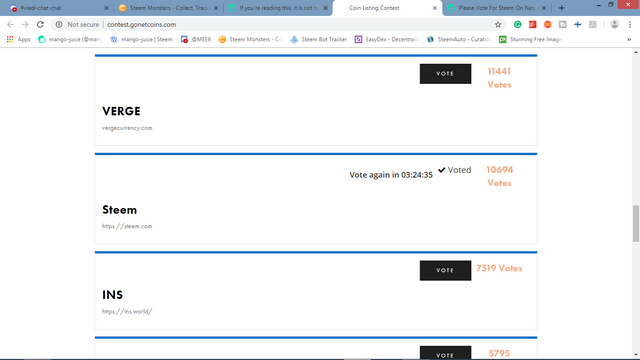 By the way, steem is on the top now but the contest is going to be very close I guess. You got a 18.22% upvote from @ocdb courtesy of @azizbd! Your UA account score is currently 4.237 which ranks you at #2681 across all Steem accounts. Your rank has improved 34 places in the last three days (old rank 2715). In our last Algorithmic Curation Round, consisting of 299 contributions, your post is ranked at #97.